A stretch of rural Northumberland will receive 100% broadband coverage following the intervention of a local tech company run by a young entrepreneur. The Whittonstall-based DANECO, which also trades as airNexus, has come forward with a commercial plan to deploy superfast broadband services around Stocksfield and Broomhaugh within the next year. The move follows a consultation exercise carried out by the iNorthumberland project in the hardest-to-reach rural communities, with DANECO responding to an invitation to all broadband suppliers to declare their existing or planned coverage as a series of postcodes. Assurance activity has been carried out by Northumberland County Council and the Government on the information received from the business, which has been accepted by BDUK on to the Better Broadband Scheme as an official government supplier. Through the main iNorthumberland programme – backed by funding from council, central Government and the EU – BT has already upgraded Stocksfield, Mickley and Riding Mill to a superfast service and, in the coming 12 months, will add New Ridley Village to the list. Combined, these efforts will enable 100% coverage of Stocksfield and Broomhaugh within the next year – and as DANECO and its investors will finance its work, there will be no cost to taxpayers. County Councillor for Stocksfield and Broomhaugh, Anne Dale, who has been working closely with residents and businesses to identify connectivity needs, said: “I’m delighted we have been able to secure complete superfast broadband coverage for our rural communities. “I’ve been working hard over the past two years to establish and document the demand for faster internet services here and the fact we have been able to secure a solution from a local business is an extra bonus. “A number of companies were interested in this opportunity and after the supplier event we held we had five express an interest in providing connectivity to the area. “Ultimately it was DANECO, a local company, who came forward with a commercial investment option. “We now intend to sign a Partnership Agreement with DANECO to allow them to use the iNorthumberland brand and support them with areas like marketing, engagement, planning and highways. 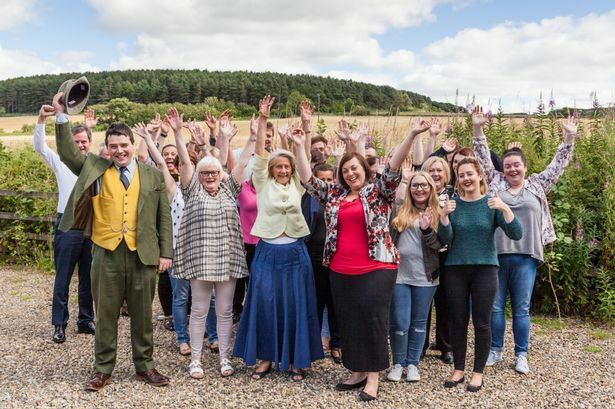 Paul Smith, managing director of DANECO said: “As a young, local entrepreneur, it is an extremely rewarding opportunity to build and deliver a carrier class network into some of Northumberland’s most rural and sparsely populated communities. “For many, high­speed broadband is now considered ‘the fourth utility’ and I am delighted that we have been approved by central and local Government to continue expanding our infrastructure. “Given the nature of the local land, it was decided that a microwave solution would be the most effective in terms of reliability, speed and time to market. Among the businesses set to benefit is the Stocksfield­-based training organisation Release Potential. Hugh Hutchinson from the firm said: “In order for a rural company like Release Potential to continue to compete with inner city organisations and continue to secure local jobs, an effective superfast broadband Internet link is essential. Councillor Dave Ledger, deputy leader of Northumberland County Council stressed that effective broadband was crucial for both residents and businesses. “Through the iNorthumberland programme we have already delivered or have plans to deliver superfast broadband to the vast majority of properties, and we’re now looking at those homes and businesses outside of the current plans,” he said. The iNorthumberland project is being delivered by the authority, with funding from the Department for Culture Media and Sport via BDUK, European Regional Development Fund and Defra’s Rural Community Broadband Fund.